So you might reasonably ask, why is this low-effort practice working? Well, for one thing, when it comes to picking technique, guitar and mandolin are not that different. The motions are, essentially, identical – so guitar practice translates well to mandolin practice, even when you’re not actually holding one. This is especially true when it comes to the motion you’re seeing here. This is what we call the “double escape” pickstroke, and it’s the motion that bluegrass and classical players appear to use as their “base” picking motion. Bluegrass and classical repertoire often contains passages that require playing only a single note on a string before moving along to another string. As you can see in the slow motion segment of the above test clip, the double escape pickstroke starts and ends in the air above the strings, and only descends to pluck a note at the lowest point of its arc. This means the picking motion cleverly avoids the surrounding strings while still retaining mechanical efficiency, thanks to the shallowness of its curvature. Even more interesting is the fact that the double escape pickstroke is a motion that players in these genres learn semi-consciously when they’re just starting out. I say semi-consciously because, while experts like flat picking authority Steve Kaufman have detailed the double escape motion in instructional books and videos, many current elite-level players were essentially self taught, or given only minor guidance, when it comes to the developing the actual mechanics of their technique. 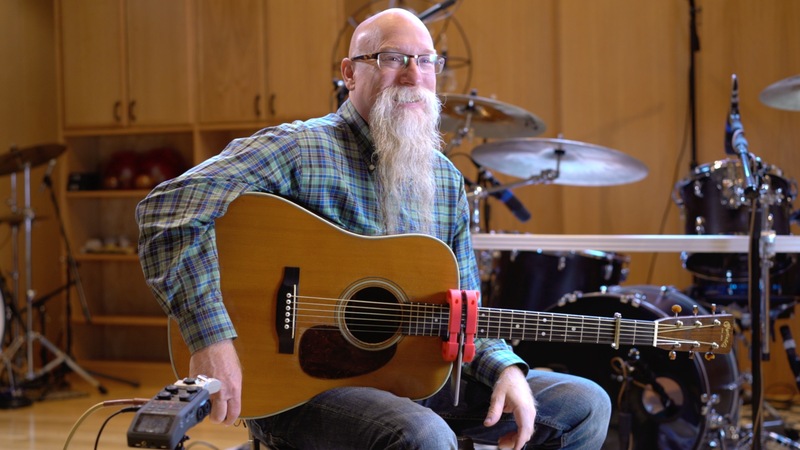 As we got deeper into his mechanical setup, including the gentle bridge anchor he uses for his fastest playing, we learned that while David tends not to focus on the “airborn” aspect of his motion, it’s certainly happening during bluegrass trademarks like the forward roll. We happened to set up an overhead camera for this interview, and as David played several improvisational segments, we got a bird’s-eye view of what it looks like in action. In fact, we jokingly coined the term “pendulum of death” to refer to the signature swoopy — and, apparently, deadly — curvature of his picking motion. When Andy plays a repeated note at a moderate speed on both mandolin and guitar, he makes the double-escape movement, which he describes in our talk as his “vanilla” movement. 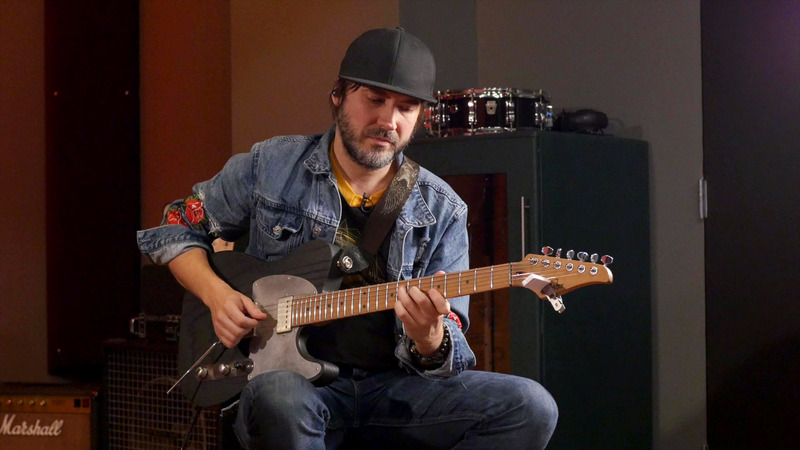 When he accelerates to shred speeds, he switches to linear “single-escape” movements, more similar to what you might find in fast rock and jazz lead playing. This shift from double- to single-escape movements at high speeds isn’t just a thing among players like Andy who grew up listening to heavy rock in addition to bluegrass. 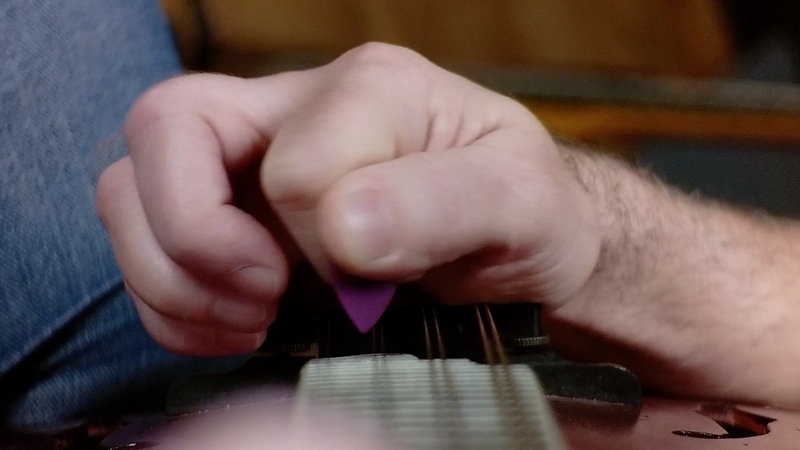 It’s also something we’ve seen before with mandolin masters like Chris Thile, who appears to make the same modification when kicking into high gear. Players who use the double-escape motion appear to learn it early-on, and as a starting point from which other picking motions emerge in specialized situations. But don’t worry, it’s not too late to try some mandolin cross-training. As in my case, I don’t spend much time on the instrument, but the technique is certainly improving. Why does this work? This makes a mandolin in some respects like a tiny guitar. And it’s just different enough in feel to maybe cause you to do something differently than you would on the larger instrument. In other words, when you play the same gear the same way, day after day, you’re not really giving yourself enough variety to accidentally do something right that you’ve consistently doing wrong. So it’s easy to get in a rut where you think you’re practicing, but in reality you’re just hammering away at the motions you already know, and which may not be working for you. With mandolin, the picking movements that work on the instrument is essentially the same, but the whole setup feels different enough to introduce some natural variety that your motor system needs. So if you feel stale on six strings, try switching to eight! You may just give your motor skill learning another shot at breaking through troublesome plateaus. Why does this work? Well, the two instrument are certainly similar. This is especially true at the level of the motions themselves. So it’s really just the size of the box and aspects of the setup that are different. 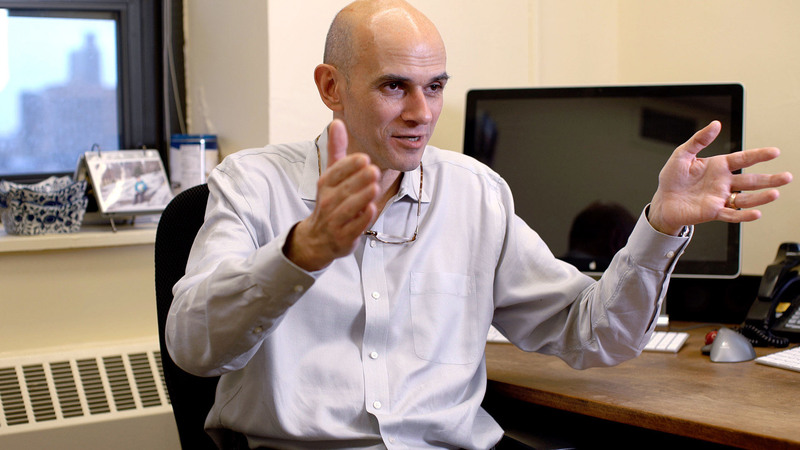 In fact, when we spoke to Pietro Mazzoni in the motor learning lab at Columbia, one thing he did mention is that learned motions have the ability to scale, without necessarily re-learning the entire motion. This makes a mandolin in some respects like a tiny guitar, I think. And it’s just different enough in feel to maybe cause you to do something differently than you would by hacking away at the same gear with the same form, day-in, day-out. I like it. I have a mandolin lying around my studio room - I hacked together plausible-enough sounding mandolin parts on one my uncle bought for a recording project we were working on (that he ALSO didn’t know how to play, lol) that my dad bought me a starter mandolin for Christmas that year. It’s kind of fun - I should spend more time on it. Cool playing! I’m going to grab some sheet music for that Bach piece! You mentioned the great Steve Kaufman,what book of his would you recommend to someone who wanted to read about cross picking from a different authority on the subject. He’s got zillions of products - books, videos, you name it. I’ve only ever watched “Picking up Speed”, which is a video instructional. I re-watched parts of it again not too long ago and I don’t actually think mentions the curved trajectory of the pickstroke in that video. If you read between the lines that would have to be the case, of course, since he talks about making an intentionally large picking motion, and putting power into it. It’s kind of the exact opposite of every shred-style instructional video in that respect, which is hilarious. To be honest I’m not 100% sure he’s always doing the motion correctly when he slows down and enters “demonstration of individual pickstrokes mode”. But that’s true of many instructional videos, and probably even some of our own! Someone emailed us a snippet from one of his books where he does specifically mention the pick trajectory. He describes it as six motions, or something to that effect. Like, phase one, you go down. Then you go across the string to play the note, the you go up. Then you reverse and do those three backwards for the upstroke. I think that’s how he describes it. I can’t seem to find the example it in our email so I can’t give you a reference for the book but it’s out there somewhere! I play a little mandolin. I haven’t for several months (I practice more piano than anything else.) But I agree, the motions are very similar. I find it slightly more difficult to play, mainly because I don’t play it as much, so it’s obviously more unfamiliar. But the double strings and tiny scale length (I’m a big guy!) make it a little more tricky. But I love it as an instrument, Sierra Hull is one of my favourite musicians so I’m very inspired by a lot of the blue grass stuff. I actually recorded a mandolin video a few years ago. Maybe I’ll try another one at some point. I still have the magnet and the extender pads so it might be quite fun to try it!